Nearly 20 miles of hiking trails are immediately accessible in Jacksonville. Thanks to the foresight of a number of people and organizations, 320 acres have been protected to retain open space for recreational use as well as a visual buffer from surrounding development. The trails range in distance and incline to offer a variety in levels of difficulty, however all trail are manageable for all except those with limited mobility. In addition to the physical benefits of hiking, the trails offer abundant views of the valley and surrounding mountains as well as the trailside views of the native habitats. Getting off of pavement and being surrounded by nature has an incredibly relaxing effect and is another great way of connecting with the local community. For wild flower enthusiasts spring is an excellent time for viewing the local flora. The trails include several ecological zones, mixed woodland, oak woodland and riparian. There are plant guides available at the trail heads. Be sure to pay special attention to our local favorite – Gentner’s Frittilaria – one of Oregon’s rarest plants found only in this region. You can also enjoy a self-guided audio tour of the historic mining sites along the Sarah Zigler Trail, the Jackson Forks Trail, and the Panorama Point Trail. Download Tours Narration and Tour Map. Of if you’d rather ride than hike, take a Jacksonville Segway Tour! The Rogue River has long been a secret paradise for game fishermen andnow you are invited to enjoy its long and entertaining history,filled with tales of gold, Indians and modern-day moviemaking. Theriver’s popularity is steadily growing as more and more visitors toSouthern Oregon view the spectacular rapids and falls, and drink inthe calm serenity of the still waters. Beautiful old-growth pines andtwisted madrone grace the banks and deer graze in pastures borderingthe water. Osprey fish for Chinook salmon while blueheron skim majestically along the sparkling waters. The Rogue Riveris the embodiment of the Oregon dream lifestyle, a relaxing havenaway from the strife of modern city life. Thereare a large variety of raft rental shops and guided tours availablein the Rogue Valley area. 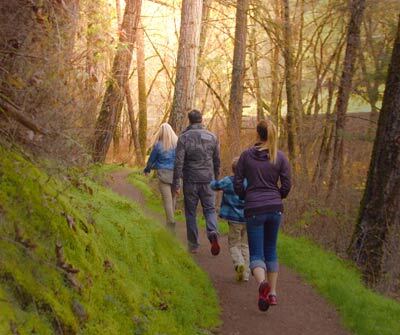 Southern Oregon is home to world-class fishing andrafting rivers, mountains for skiing, biking and hiking, and greenvalleys that produce award-winning wines. It’s also home to NorthAmerica’s deepest lake and Oregon’s only National Park, Crater Lake,which graces the back of Oregon’s state quarter. From the valleys to the high desert, wildlife andnightlife share space. Southern Oregon is home to a pair ofwell-known attractions – the Britt Music Festival and Ashland’sOregon Shakespeare Festival – and to dozens of museums, artgalleries, theaters, antique malls and tax-free shopping. Aribbon of National Scenic Byways await, just a short drive from theCalifornia border. Follow the Redwood Highway to Grants Pass and thelegendary Rogue and Umpqua rivers, where you’ll find riveradventures, jetboating, rafting, fishing and much more. DiscoverCrater Lake National Park on the Volcanic Legacy Scenic Byway andexperience the mountain lakes and world-class birding of the KlamathBasin and Oregon’s Outback region. History buffs willrecognize the region as the site of Oregon’s 19th-Century gold rush,an era preserved within the boundaries of Jacksonville, a NationalHistoric Landmark town. Visit the “Heart of the Dunes” onOregon’s south coast, and experience America’s Wild Rivers Coast. The Jacksonville Inn is located a short drive half-hour drive from Grants Pass – home of Hellgate Jetboat Excursions draws nearly 85,000 people every season, which runs from May through September. Visitors from all over the world make Grants Pass’ Hellgate Jetboats their destination in order to board the propeller-less boat that is pushed by the hydro-jet that glides just inches above the water’s surface. Along the river, trained, educated and witty Hellgate pilots offer a narrated historic overview of the region and point out landscape features amid the most majestic scenery to line any waterway in the country. On every trip, pilots point to nearby wildlife such as deer, river otter, osprey and bald eagles flying overhead, guarding nests or perched on high branches. This adventure is truly one not to be missed on your Oregon vacation. Visit http://www.hellgate.com/ for more information. No place else on earth combines a deep, pure lake, so blue in color; sheer surrounding cliffs, almost two thousand feet high; two picturesque islands; and a violent volcanic past. Southern Oregon is the home of Crater Lake National Park, the crown jewel of Oregon. Crater Lake is the deepest lake in the United States (at 1,932 feet), and one of the bluest lakes in the world. Crater Lake is located 81 beautiful miles from the Jacksonville Inn. Rogue Valley ZipLine Adventure is nestled in the Historic Gold Mining hills of beautiful Southern Oregon. Our Company provides Guided Zip Line Tours on our progressive 5 zip line Course. With many spectacular views including but definitely not limited to, Crater Lake Rim, Mt. Mcloughlin and Table Rocks. Home to the most THRILLING ZipLine in the Pacific Northwest and the Zip, Dip, & Sip Tour. Mount Ashland ski area is located on 7,532-foot Mount Ashland and features 23 trails on 200 acres served by four lifts, in addition to chute skiing in a glacial cirque called The Bowl.